Audience engagement, interaction, and participation are keys to building a brand on the social web. Social platforms such as Twitter and Facebook offer unparalleled options for audience engagement, but where should a marketer start with so many choices? 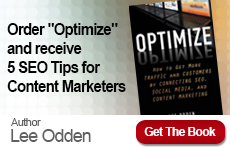 Fortunately, Lee Odden, CEO of TopRank Online Marketing and Chelsea Bucoy, Sr. Product Marketing Manager for Zoomerang are here to help. Their on-demand webinar: Engage Your Audience with Social Media and Surveys recorded in July is available to watch at any time. The webinar lasts for approximately 50 minutes and is packed full of insightful and actionable information which digital marketing and PR professionals can use today. For further reference, you can download a PDF of the webinar. 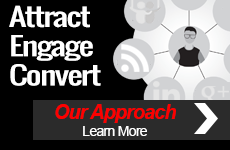 Learn more about the social media marketing programs offered by TopRank® Online Marketing.